The new WhatsApp application will be called WhatsApp Business. It will allow us to communicate with companies without receiving advertising and blocking spam messages. WhatsApp is the most used instant messaging application in the world. The app that is now in the hands of Facebook allows us to communicate in just a few seconds with anyone, no matter where in the world they are!. To its huge success, WhatsApp already has more than 1.2 billion users. We knew that for a few months, WhatsApp is testing new ways to enable its users with businesses through this instant messaging service as long as they have verified accounts. In this line, the company has given a new turn of its business model. Soon we will be able to choose if we want to receive specific business messages – other than advertising or spam – or to continue using WhatsApp as before. But what exactly is this new WhatsApp for a business called WhatsApp Business Account? What is WhatsApp Business Account? If you own a company and you want to communicate with users through this free messaging service, then it is easily possible with this new WhatsApp Business account application using a corporate profile. This new application will be available for Android, iOS and Windows Phone. One of the main advantages of this new WhatsApp business account is that on the same mobile phone we will have WhatsApp traditional and WhatsApp business. This will help us to communicate with the people in your contacts from WhatsApp traditional and from WhatsApp business account you can communicate with your Customers. Also for WhatsApp users, this new app is very comfortable to use. From the same account of the application, we will be able to maintain conversation chats with our acquaintances and with companies from our profile. And this is where WhatsApp will do its business, as it will provide businesses with a database of 1.2 billion users. Nevertheless, we will have the control, being able to block and report as SPAM the conversations that we consider as such in WhatsApp Business. Another feature of WhatsApp Business is the incorporation of structured messages, that is, those that include a lot of information: text, image, action elements and also translation in different languages – a feature that will facilitate smooth communication with companies. How to create a WhatsApp Business profile? Verified Business: Your name is verified directly by WhatsApp. When it is a verified business, you will see a green badge next to its name and the verification symbol. 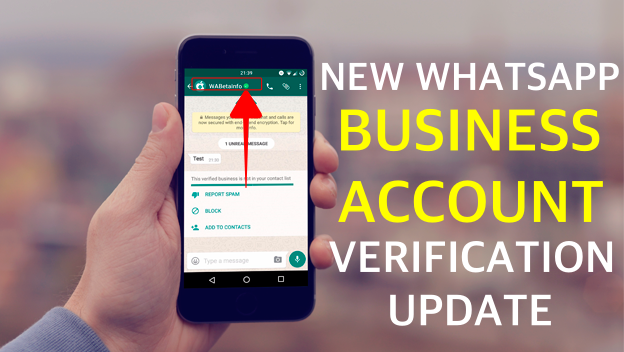 Unverified Business: You can use all business functions, but the name is not verified by WhatsApp. From the company have already clarified that this emoji can not be used in the name so as not to confuse the users about the authenticity of the business. The name of the companies – which can not be changed – has to respect WhatsApp’s policy, and they also have the option to put a profile photo and they can change it whenever they want. In addition to this, every company have to include their website and an email address, in order that users have the maximum information possible about their business. What services does WhatsApp Business offer? The new WhatsApp app does not make sense if it does not offer services to users. Thanks to the official blog of the company we know that, for example, the bank will be able to notify us about potentially fraudulent transactions as well as an airline will notify about delays in flights. According to Recode, WhatsApp Business will begin to be implemented soon in emerging markets like Brazil and India – in this country they experiment with a payment platform similar to WeChat. This is all about the WhatsApp business account. Stay tuned to our website for more updates about WhatsApp business account. Here is how you can verify your WhatsApp business account. If you have any queries regarding this new app, let us know in the below comment section. We will get back to you as soon as possible to solve all your queries. Which Business app or tool do you use for Promotion?